BUILD 2013 may be all the rage at this moment, but between watching sessions online this here die-hard still is doing some Windows Phone development. Doing so, I ran into a particular side effect that occurs when including a unit test project – something I had not noticed before. But if you read my articles about unit testing, got inspired by it and want to try something - you might get confused, run into weird looking errors, or even submit an incorrect XAP, so I thought it best to make a short writeup. Nothing spectacular. 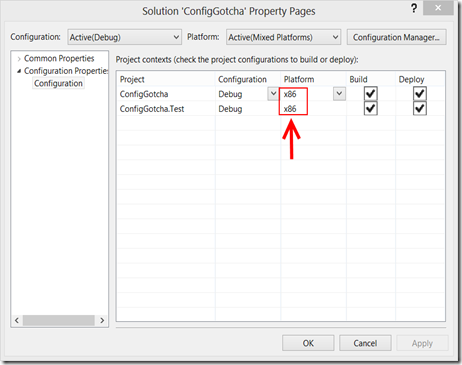 But now add a unit test project, add a reference in the unit test project to the app, and get the solution properties again. 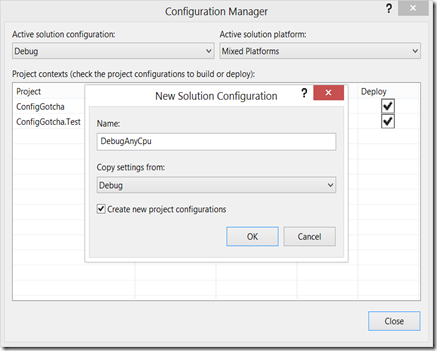 “Target platform x86 is incompatible with the selected device type. Make sure that they are compatible with each other and try again. Example: - X86 or Win32 platform is compatible with emulator and not compatible with arm device. Similarly arm platform is compatible with arm device and not compatible with emulator. When you want to unit test your app, both the tested and the test project apparently must have platform “x86”. The resulting XAP will be unit testable, and run on the emulator – but not on your phone. 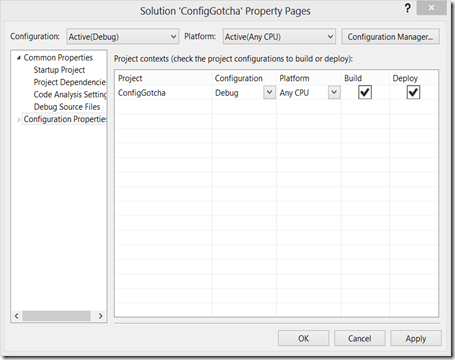 When you want to deploy or submit an app, set the configuration to “Any CPU”. 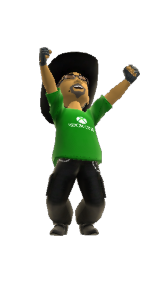 The resulting XAP will run on your emulator and your phone, and can be submitted. 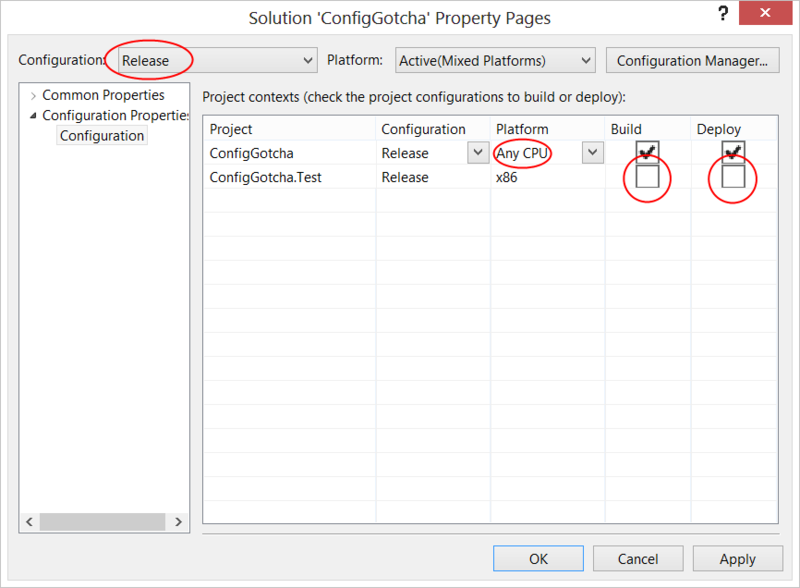 The gotcha of course is that you fix an error, run the tests, forget to set “x86” back to “Any CPU”, select release configuration, build the app – which will not create a XAP in “release” but in x86, and you submit the release XAP, which is not recompiled and still contains the error. Net result: when you select release, Visual Studio will automatically build a XAP for Any CPU and app that runs both on the phone and your emulator, and can be submitted. 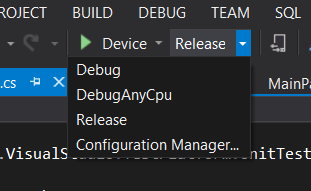 Now make sure the other settings of the new DebugAnyCPU configuration are the same as the release settings (so, everything Any CPU and make the unit tests not compile or deploy). 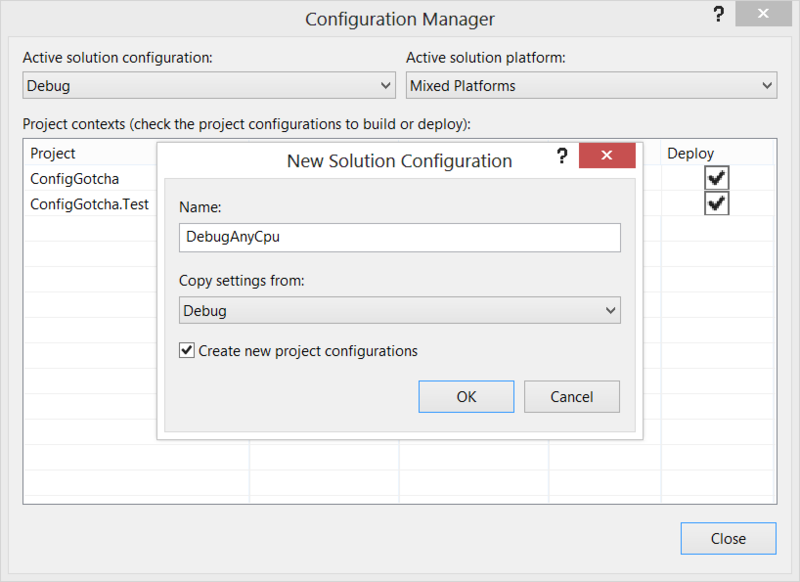 If you now look in Visual Studio and click the configuration manager, you will see you have an extra configuration as displayed to the right. Selecting “Release” will make a proper release app that can run on emulator, device – and the resulting XAP can be submitted. 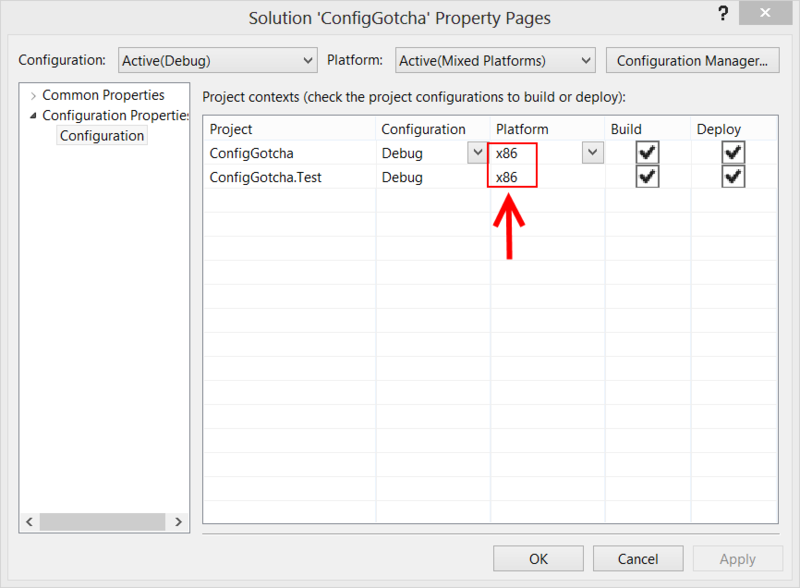 By creating this configuration you can have all the options you need, and protect yourself from accidentally uploading the wrong XAP after pushing through into the wee hours of the night finding a bug in your app.